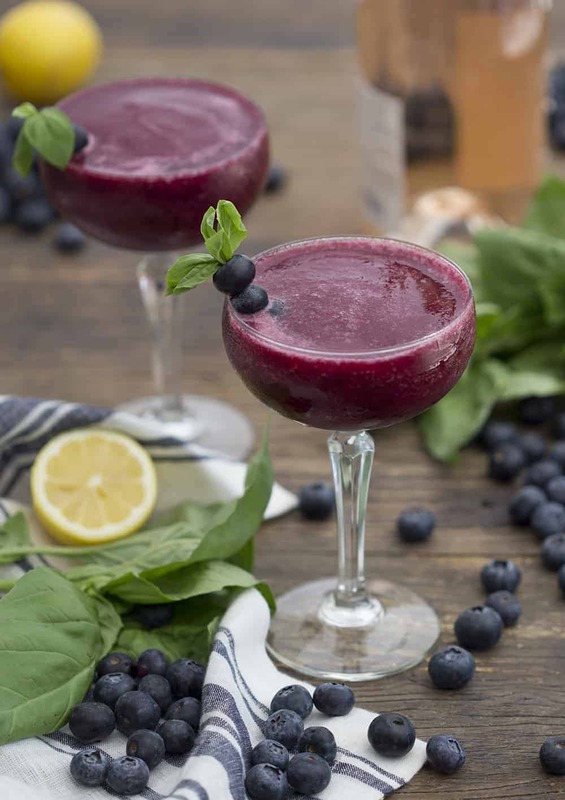 A deliciously refreshing frosé cocktail made with rosé, a fresh blueberry reduction infused with basil and a dash of lemon for zing. It’s the perfect cocktail to while a way a warm day. There may be nothing more perfect than a great glass of ice-cold rosé on a warm afternoon — cool on the lips, notes of berries, and a crisp finish. Can you improve upon perfection? Well you can certainly try! This cocktail takes all the things I love about a delightful glass of rosé and amps them up. A blueberry reduction partners well with the wine’s primary flavors, while the fresh basil provides a wonderful aromatic finish. And a whimsical bonus: freezing rosé makes the most beautiful ice cubes ever! During the recipe development for this drink, I played around with ingredients like framoise, cassis and orange liqueurs, vodka, and other experimental additions. But like the perfect summer day, it turned out the simplest recipe was the best. All the flavors used were essential and while the drink is a dead ringer for a classic cocktail, it lacks the hard alcohol punch that can cut a summer party short. I recommend using a fruit forward dry rosé for this cocktail, but you’ll be safe just choosing a wine you enjoy. 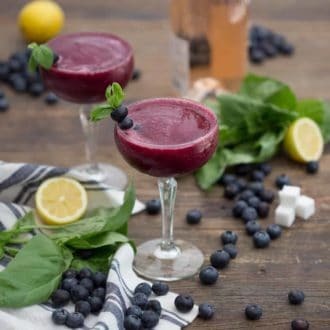 A delicious blueberry basil frozen rosé cocktail that you will love! Freeze the rosé into ice cubes overnight. Add the blueberries, lemon juice and sugar into a small saucepan. Muddle some of the blueberries with the back of a spoon, mix and place over medium heat. Bring to a boil then simmer for about 10 minutes. Remove from heat, crush the basil in your hands and place in the warm reduction to steep for about 5 minutes. 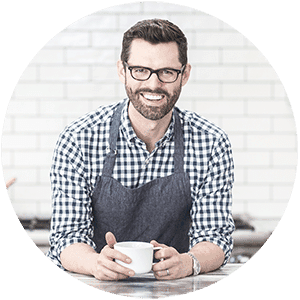 Add the rosé ice cubes and strained reduction to a blender and blend at high speed until smooth. Pour into glasses and garnish with blueberries and a basil leaf. An easy refreshing summer drink made with rose! Full recipe on the blog. Hi Stephanie — There is no water in the recipe. I apologize. I have updated the recipe to reflect this. Thank you, John. do you think that it would be a problem to do the blueberry reduction one day before drinking the cocktail? You can make the reduction several days ahead, just keep up in the fridge! Hope you enjoy the drinks! How did i not know about this! This is now me and all my friends favorite cocktail. Thanks for this recipe!